Mr. 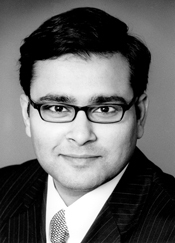 Deep Chakraborty currently CEO of Centrosolar America, Inc. since January 2010, was until recently Vice President of the parent Group in Munich, Germany. At Centrosolar, Deep has focused on a fast ramp-up of the US business: launching Centrosolar-branded products, growing the sales and engineering organization and launching a systems-based approach to Centrosolar's product offering in the North American market. While there are other German solar companies bringing products to the U.S., what makes Centrosolar America different? Centrosolar is the only large Germany-based European solar manufacturing company adopting a downstream distribution strategy in the US, selling PV modules, racking and complete kits direct to installers, along with training, financing support and full engineering services. Unlike other manufacturers that sell through independent distribution, Centrosolar has its own nationwide distribution centers that offer small shipments and logistics support for solar installers. Centrosolar announced CentroClub in the US – a channel program for managing installers’ needs as they grow, in addition to launching its CentroSchool program in the US, which has been very successful in Europe. This brings tremendous value to the rooftop installers who seek to differentiate their offering through premium quality products at an affordable price, and need support in engineering and logistics nationally. Where is Centrosolar expanding and investing for growth in the coming year? Centrosolar has announced new subsidiaries in Benelux, Canada and the UK in 2010, with plans to deepen its presence in these markets. Within the US, Centrosolar has established distribution and sales presence in New Jersey, New York and New Mexico, in addition to Arizona and California. In 2011, Centrosolar is looking to expand its presence in some core areas like the San Francisco Bay Area, with its own full-scale sales and distribution center. Why do you feel that expansion into America is a solid plan for the company? Market penetration in the residential solar rooftop market has been very low, with less than 0.1% of US homes having installed solar systems today. In countries like Germany, this is a factor of 20 higher – in spite of less than half the average sunshine! This is fast changing given improving solar economics (lower system installed cost), increased supply of solar products and greater number of solar installers who can serve the home segment. Centrosolar strongly believes in the continued growth of the residential solar market in the US, along with broadening of the commercial solar market and is very well positioned to serve such segments through its proven channel strategy. How do you compete with companies that are manufacturing in China and other low labor cost locations around the world? From a pure cost perspective, it is common knowledge that the labor component of total cost in module manufacturing is very low. So although China has a labor cost advantage, this is becoming less of a factor given overall price declines of PV systems and rising transportation and currency conversion costs. From a market perspective, we see several new brands from China that have not been successful in building a strong presence in the US, as reliable supply and guaranteed performance standards have not been met by some firms. In the long run, the country of manufacturing origin has less of a bearing versus other business factors affecting the success of brands and companies in the solar PV marketplace. American consumers demand not only the best product value for their money, but also demand a very reliable product – like Centrosolar, with its panels on the rooftops of Europe’s largest solar markets – along with the best service when it comes to an important decision like a new solar system for their homes. We are very well positioned to succeed in this marketplace. What differences do you anticipate in the American market as opposed to Europe and how will you address them? In the residential and commercial rooftop solar PV marketplace, there are several differences in the American market vs. Europe. The overall PV market is spread over a significantly larger territory – making solar installing a much more fragmented and local business, similar to other channels like HVAC. Installer consolidation will be limited, only in some specific regions given diseconomies of scale. The number of small installers in the US will continue to grow significantly and will therefore be several times more than in Europe. Such installers will come from other skilled trades like electrical contracting and HVAC trades. To add to the above challenge, American solar incentives vary from one state to the other and from one utility to another –something that is not common in Europe. Therefore, a successful solar channel strategy in the US requires the ability to serve complex and changing markets with a very sophisticated sales force. Centrosolar is addressing this through a carefully planned growth strategy with distribution operations of its own in key markets like Arizona, California and New Jersey, coupled with a very sophisticated channel management and financial systems for back-end operations in order to allow the company to scale-up its presence along with market growth. Will you be focusing on residential or commercial markets? We are serving both the residential and the commercial markets, but focusing mainly on roof-top applications. What kinds of products and services is Centrosolar America offering to installers, to make their jobs easier? Centrosolar offer small shipments of all PV components – modules, inverters of multiple brands, racking, electrical hardware, switchgear and related components – all available at a single pickup point and available “just-in-time” for installer work-site needs. Its CentroPack® line of pre-packaged systems come equipped with complete 1-line and 3 line electrical drawings, structurals and layouts etc. needed for permitting. Centrosolar allows loyal customers to enjoy credit terms, and also carries rebates and grant assignments from utilities to help reduce cash flow hurdles on deals. Centrosolar schedules frequent training for its installer customers – focusing on both product engineering, as well as sales and marketing. Its CENTROSCHOOL program has already trained over 250 installers in 2010. What incentives do you offer installers who adopt your products? Through its newly launched CentroClub program, Centrosolar provides its expanding network of installers with sales and marketing support,, tailored financing programs and Market Development Funds (MDF). As members of the CentroClub program, installers gain a competitive edge through access to Centrosolar America’s lead generation resources and other sales contact information. CentroClub allows loyal installers access to case studies and specialized training resources, free sales and marketing collateral and long-term volume planning and joint-business development activities. While there is no cost to join CentroClub, partners can participate at two levels, Gold and Silver, depending upon their sales volume. The Silver partnership requires a lower sales commitment, while providing access to wide range of CentroClub benefits. Gold level partners achieve higher sales volume and gain access to a greater range of program benefits, along with financial incentives. What is your forecast for growth in the US solar industry over the next 5 to 10 years? In 2010, the overall US solar PV industry has almost doubled vs. 2009 – inspite of the country emerging from an economic crisis. As things look more upbeat around the general economy, we expect 2011 to be the first year when installed volume will cross 1 GW. Over the next 5 years, the US solar PV market could emerge to be the largest globally, overtaking Germany and other European countries. Prior to Centrosolar, Deep worked for Roland Berger Strategy Consultants in USA and Europe, where he led projects formulating operational growth strategies and identifying new business development opportunities for various international clients. Deep has a strong career background in strategy and operations, with long experience in the automotive industry for where he led product development activity for OEMs like DaimlerChrysler, with positions of increasing responsibility in areas of vehicle program management and product portfolio strategy. Deep grew up in India and has a Bachelors degree in Mechanical Engineering from the prestigious Indian Institute of Technology, Kharagpur. Deep also has a Masters degree in Mechanical Engineering from Pennsylvania State University, USA and an MBA from the Ross School of Business, Ann Arbor, Michigan, USA.